Baby wipes: Every parent of a newborn should have lots of them. 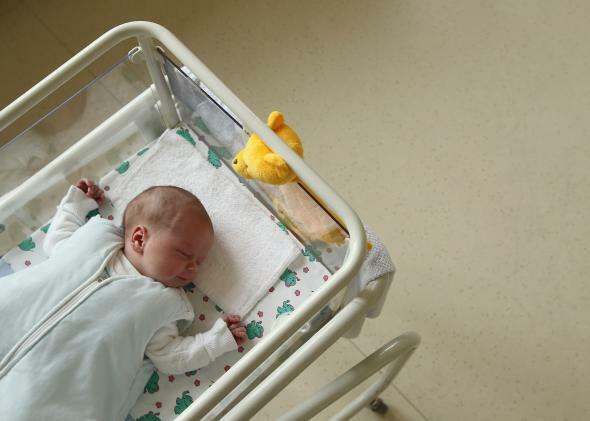 What Item Should Every Parent of a Newborn Own? Going to need lots of wipes. Baby wipes. All these other answers are exactly right as well, but the one thing I must emphasise is you cannot have enough baby wipes. I am talking about preparing-for-the-apocalypse amounts: thousands and thousands of them. Babies create frankly unbelievable amounts of biowaste. I don’t know how it is accomplished, but a baby can easily produce three or four times his entire body volume in biowaste. I suspect a kind of portal effect is in play, and the waste is being brought in from some n-dimensional space, but really the reason does not matter. There is lots and lots and lots of it, and it never stops. Ever. I’d like to pause here a moment to discuss color and odor. Baby biowaste is not as yours or mine. No. It comes, seemingly by design, in a startling and inventive palette of colors and textures, from luminous green (I do not exaggerate at all) to a vibrant and lively orange (I believe the right term is vermillion) and all shades and consistencies in between. The odor is … diverting—I’ve never been sprayed by a skunk, but I’m told it takes two full days of scrubbing with tomato juice before the odor begins to fade. All I can say is skunks ain’t got nothing on baby biowaste. So I will get to the point: The baby wipes are to clean your baby and to avoid touching any of the biohazard with your hands. You need thousands of wipes because a baby never stops, it often somehow ends up going up his back and on his head, and there is lots and lots and lots of it. I digress. My overall point is I found that mothers have some sort of innate defense against the handling of their broodlings’ biowaste. I have seen her make do with as few as two wipes and come into contact with the biowaste with no discernible ill effects. This I cannot do. I need a wipe to hold the active wipe as it were. I cannot reuse a contaminated wipe, and should there be a containment breach and I come into contact with the biohazard, a full decontamination procedure is called for, which itself requires many multiple wipes (and bleach). Baby wipes. Thousands of them. Mark my words: I have been that soldier. Fatherhood: Is a father figure important for a child’s development? Parenting: What are common mistakes that parents with good intentions make because of ignorance? Fatherhood: What is it like to be a single father?